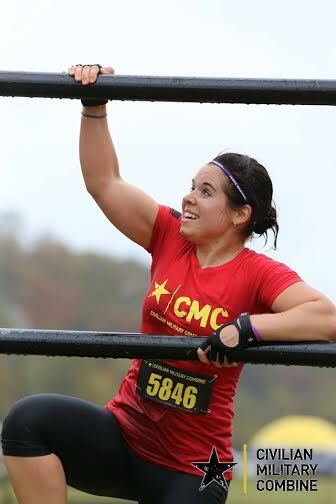 The past few months Stephanie has been in overdrive working on StrongFigure Bootcamp, Blue River Health, and continuing to promote her two books. So in my best effort to help, I have been helping her with sorting emails. 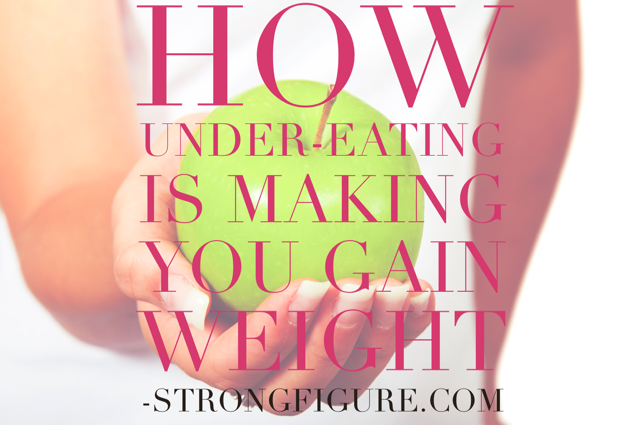 Most of which come from the StrongFigure audience and have centered on one topic — weight gain. The more and more I read these comments the more I realize how much bad information is out there. And boy do I feel for the battle that Stephanie fights every day. Not lifting weights because you’re afraid you’ll gain too much muscle is like not driving your car because you fear becoming a NASCAR driver. Although I think body dysmorphia is the more serious of these issues, it isn’t really in my scope of expertise and it certainly isn’t something I can help fix with a blog post. Google until your head is about to explode and you are likely going to get either a one-size-fit-all bullsh*t trend that doesn’t pertain to you OR you are going to get a bunch of hard to understand language about thermogenesis, energy balance, and resting metabolic rate that you may or may not understand. The latter is clearly superior but you might need an MS in Nutrition to understand it. Furthermore, it is really really hard to fix some of this yourself. The people that tell you otherwise have never worked with those who struggle. The old adage of energy in versus energy out isn’t that simple. Energy out varies a lot from person to person. You have to factor in the person’s resting metabolic rate, the amount of physical activity they do, their non-exercise activity thermogenesis, and the thermic effect of eating certain foods vs. other foods. When researching metabolism, I have talked with people who have worked with endocrinologists, health coaches, and trainers to pinpoint the issue stalling their progress. The good news is, most people can solve their issues with a few best practices. 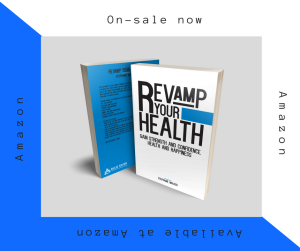 It turns out there are nutritional strategies, training regimens, sleep changes, and more that can indeed fix most people’s problems when it comes to metabolism and weight loss. 1. Eat lots of veggies. Our bodies function better when we consume a wide variety of important micronutrients. Vitamins and minerals found in vegetables help to properly regulate our leptin levels. Like all hormones, leptin, is pretty complicated but it is super important when it comes to our energy levels and metabolism. Leptin is the hormone that signals to the brain that we are full. So what happens with a lot of people who go on diets, especially people who go extremely low carb and low sugar? The body actually stops producing leptin (because their bodies no longer need it). If you have very low body fat and you don’t consume many carbs and you are constantly fighting cravings–there’s a decent chance your leptin levels might be too low. Restoring leptin levels is a fairly easy fix but doing it right is a different story. Most recommend a form of carb-loading or re-feeding. Re-feeding is a tricky subject though so if you feel like this might be your issue then I would consult a coach or nutritionist. On the reverse side, leptin levels being too high is also a problem. Obese people often have unusually high levels of leptin. In some obese people, the brain does not respond to leptin, so they keep eating despite adequate (or excessive) fat stores, this is known as leptin resistance. This causes the fat cells to produce even more leptin. The cause of leptin resistance is still unclear. Studies have shown that eating a wide variety of vegetables can help regulate proper leptin levels. Vegetables also help with other hormones too, so long story short, eat your veggies! 2. Eat your protein. Protein has a thermic effect so that your metabolism actually revs hotter just by eating it. 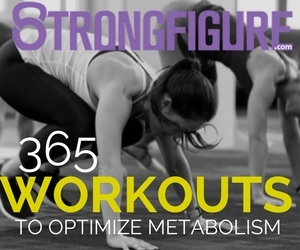 It also increases lean muscle, which helps your metabolism to burn more efficiently. And protein increases satiety, which means you will feel fuller despite eating less. Veggies help with this too (another interesting hormone is ghrelin if you like reading about hormones.) To know how much protein to eat — read this. 3. Increase your non-exercise activity thermogenesis (NEAT). This is basically the energy we expend through our day to day activities. This is actually probably the single biggest issue for people who say they have a slow metabolism. 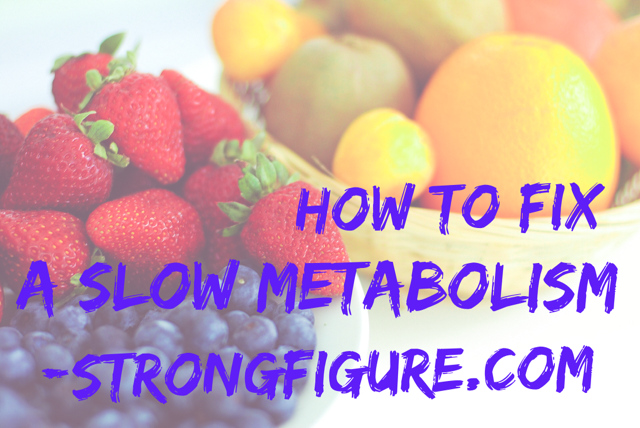 Often it isn’t a slow metabolism but rather a lack of NEAT. In a 2005 study, it was found that people with “slow metabolisms” had NEAT account for only 15% of their daily energy expenditure. Comparatively, people with “high metabolisms” had NEAT account for 50% of their daily energy expenditure. Think about that! Maybe all these people with high metabolisms are really just moving more throughout their day. What is often considered a slow metabolism might just be a sedentary lifestyle. To increase your NEAT, do the following: walk more, stand more, tap your feet, get a fitbit, etc…Seriously, park further away and take the stairs! Pro Tip: get a 14 month old. He or she will have your NEAT optimized in no time. Also, keep in mind when you do start transitioning to moving more, your body is going to think it needs to eat more to maintain it’s homeostasis. This may or may not be the case. 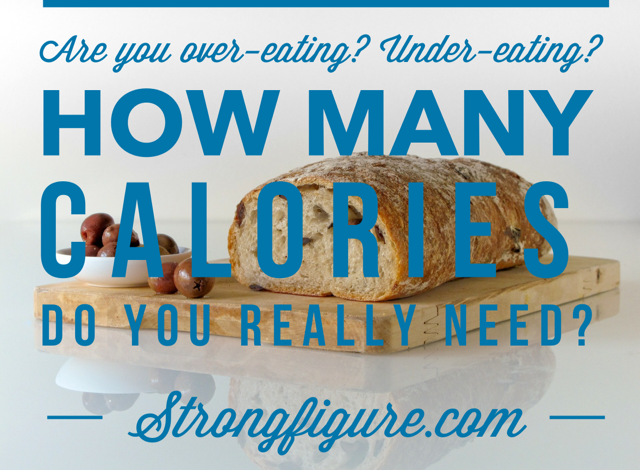 Have an expert calculate your macronutrients if you are wondering what your new calorie intake should be. 4. Sleep. Sleep is intricately connected to our hormonal and metabolic processes; moreover, sleep is critical in maintaining metabolic homeostasis. According to studies, sleep deprivation and sleep disorders are believed to cause metabolic dysregulation through hormonal imbalance and inflammation. If you want your metabolism to function properly then SLEEP! If you struggle with sleep then read this. 5. Manage your stress. Balancing your stress is essential. It is also a complicated balancing act in that we need it to grow but it can also tear us down. This topic really deserves it’s own blog post so here it is. And honestly, this is could very well be your issue. 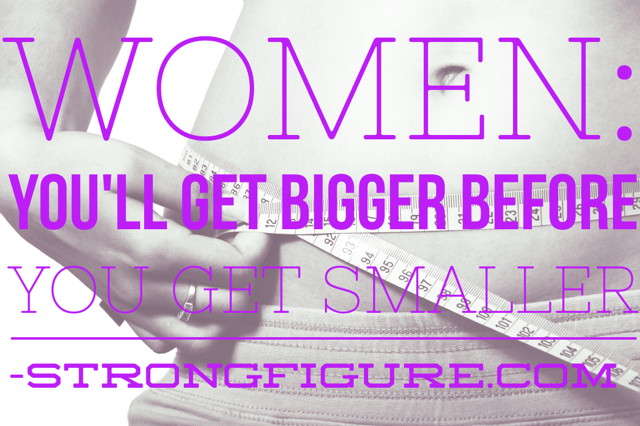 You would be surprised how many of us have weight issues primarily due to our stress. And more than just weight issues, many estimate that stress is actually the number one killer in America. 6. Balance your training. Your training should include resistance training, cardiovascular training, and active recovery. Resistance training builds that muscle mass that turns your metabolism into a jet engine, burns calories just by existing, and improves your glucose tolerance. Cardio helps you burn calories and helps the body to function properly. Doing too much of either though can be a problem, especially if not properly fueling your body. Recovery work can help you to keep up with both types of training in a more effective manner. In my opinion, the best type of training for maximizing weight loss and metabolic function is HIIT (High Intensity Interval Training). If you want more tips on workouts that will maximize your metabolism I cannot recommend this book enough (heck I wrote the forward). But I am good on all of the above, so what is MY issue? Like I said, this is hard to fix in a blog post. We all have different issues slowing our results. Some of us actually just need to relax. Have you ever heard about people who try and try to have kids but can’t so they adopt and then 9 months later they have a kid? Believe it or not, this weight loss thing can be like that too. Sometimes we just need to relax more. 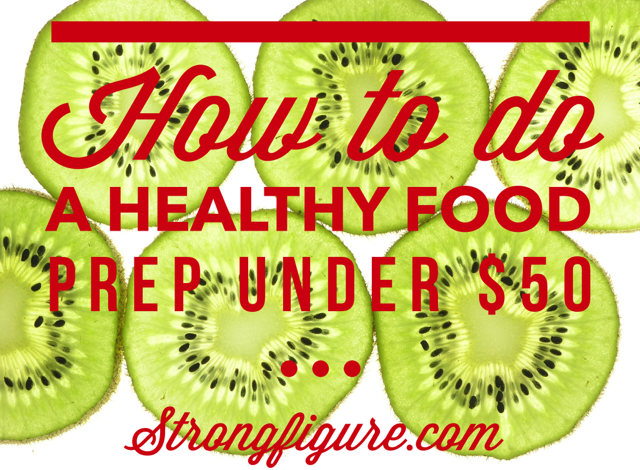 Be a little more flexible with your eating. Mix up your training — make it fun. And if all else fails, hire a coach–maybe he or she can solve the mysterious metabolic puzzle. Help us to become a better site. We want to know what fitness and nutrition issues you are struggling with.